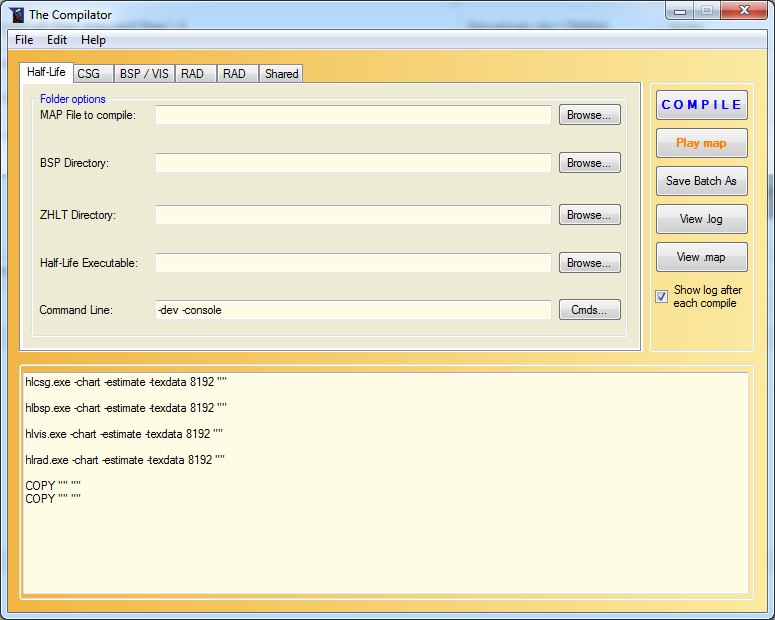 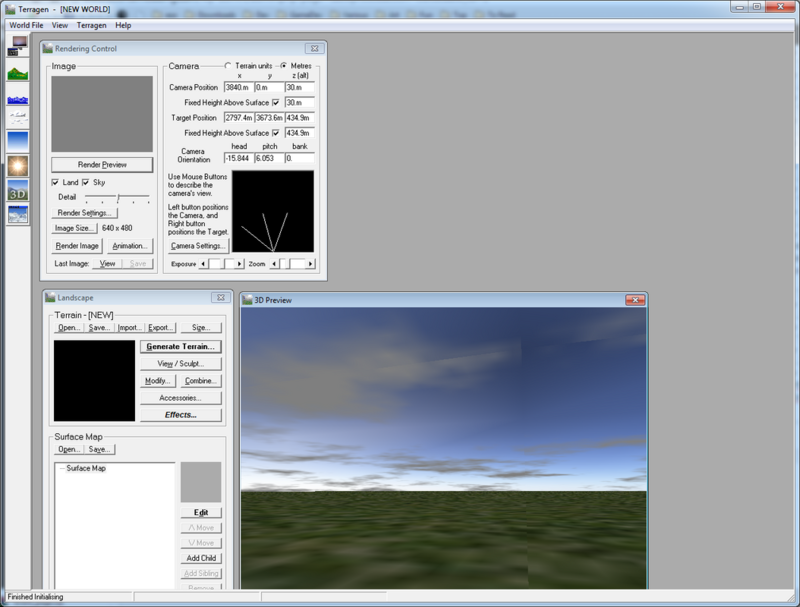 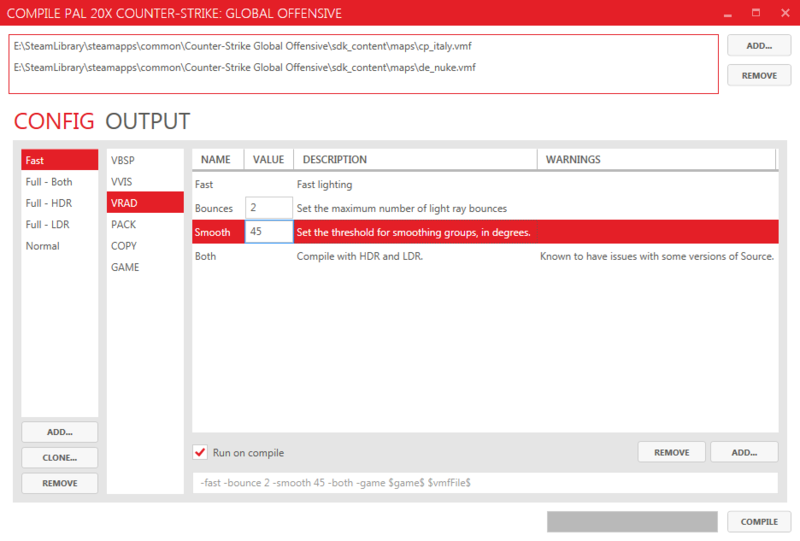 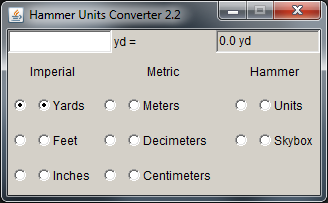 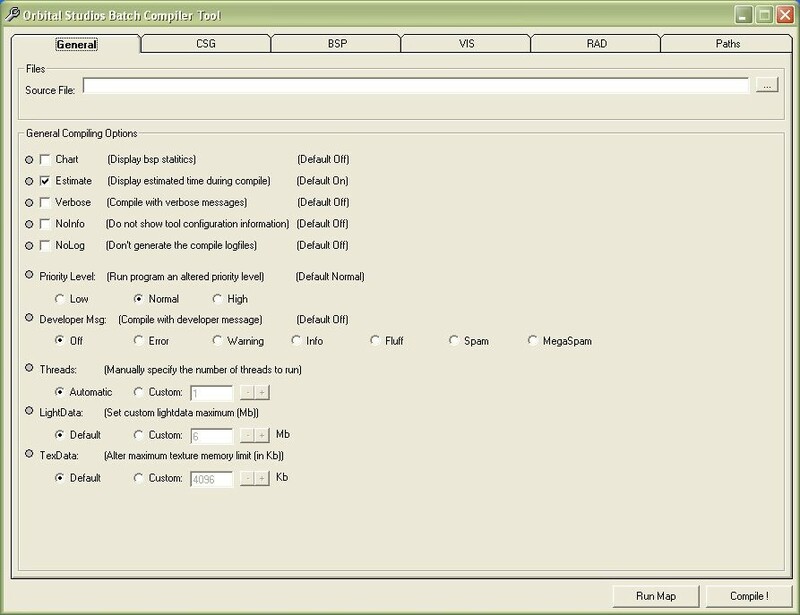 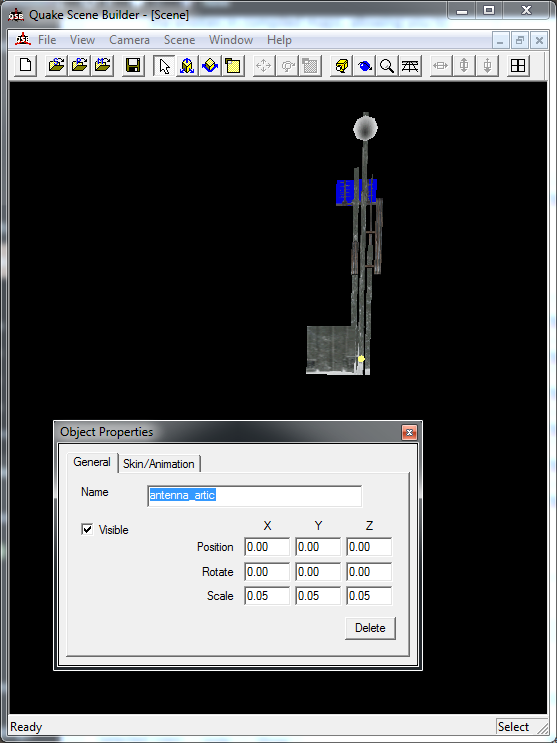 integrates into Hammer and allows conversion of Source Engine units into metric or imperial units. 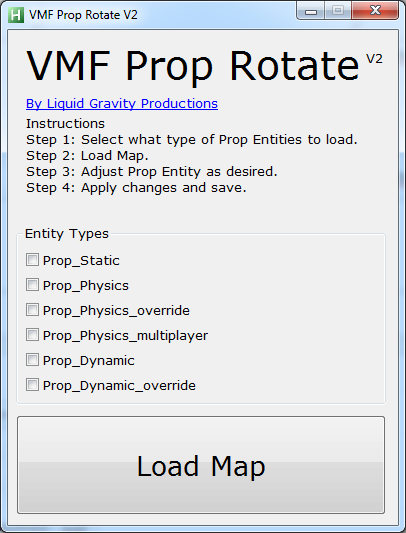 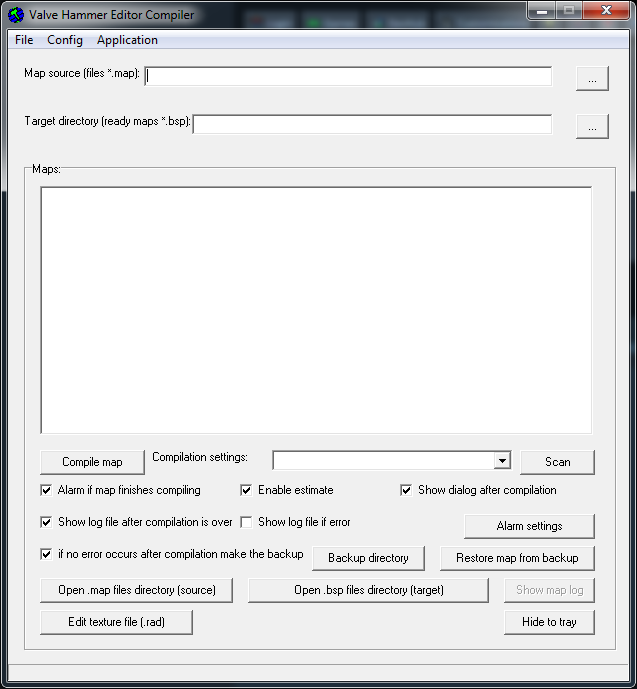 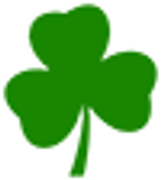 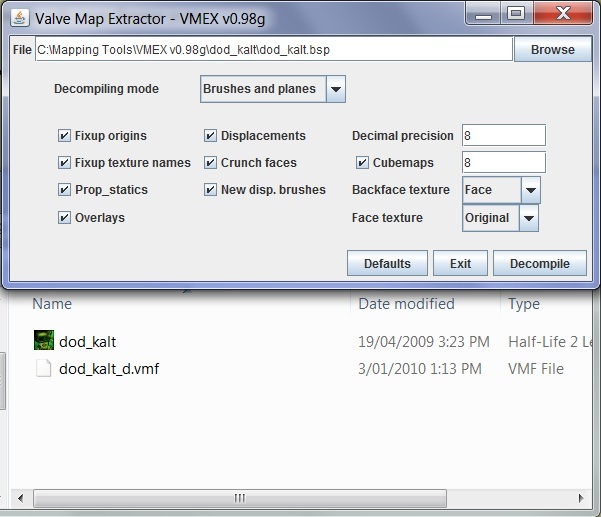 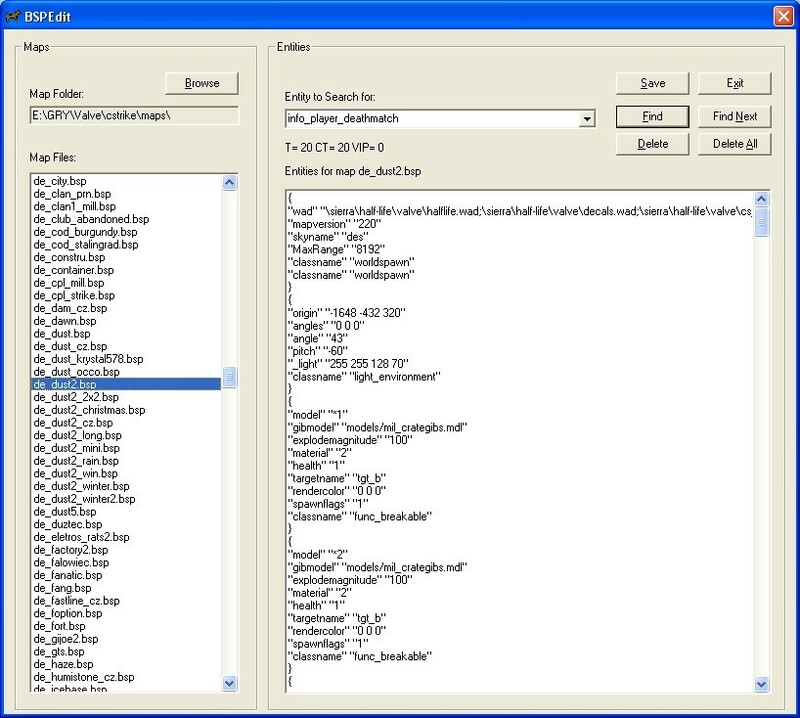 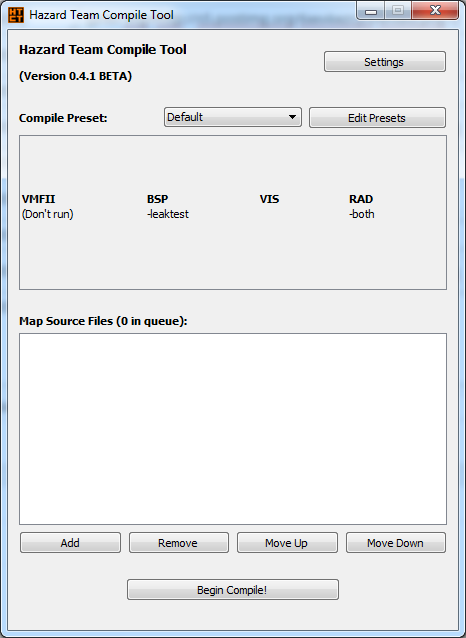 Map Resource Extractor (MRE) is a small program that reads the VMF, and only copies the content that has been used in the map. 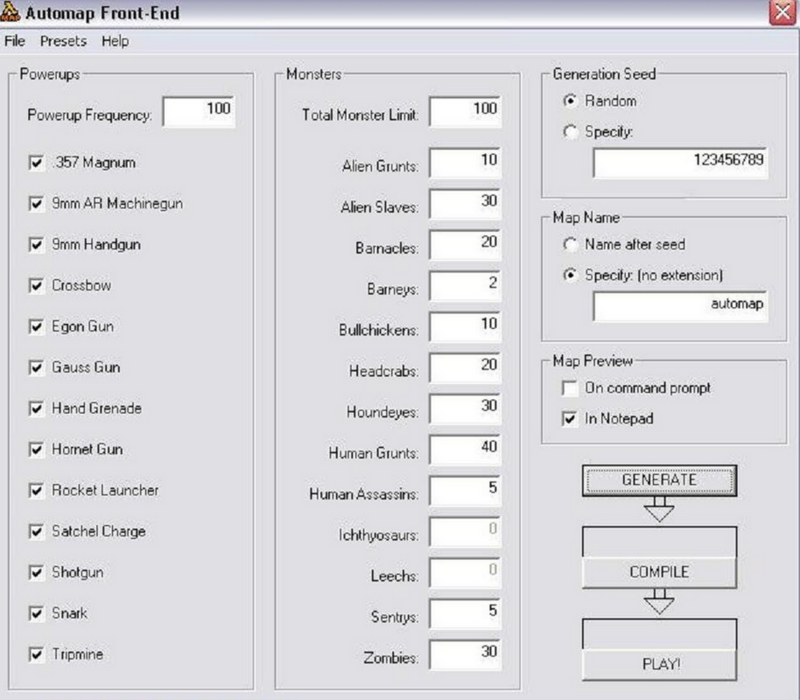 its amazing kind of enemies and weapons. 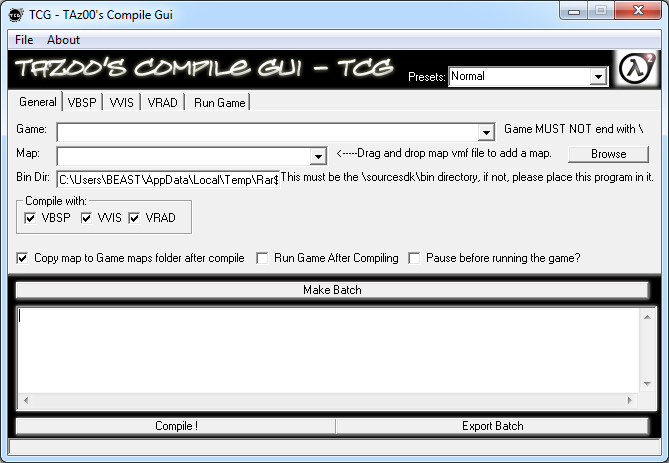 This tool can help you by grouping the map into VisGroups based on a grid. 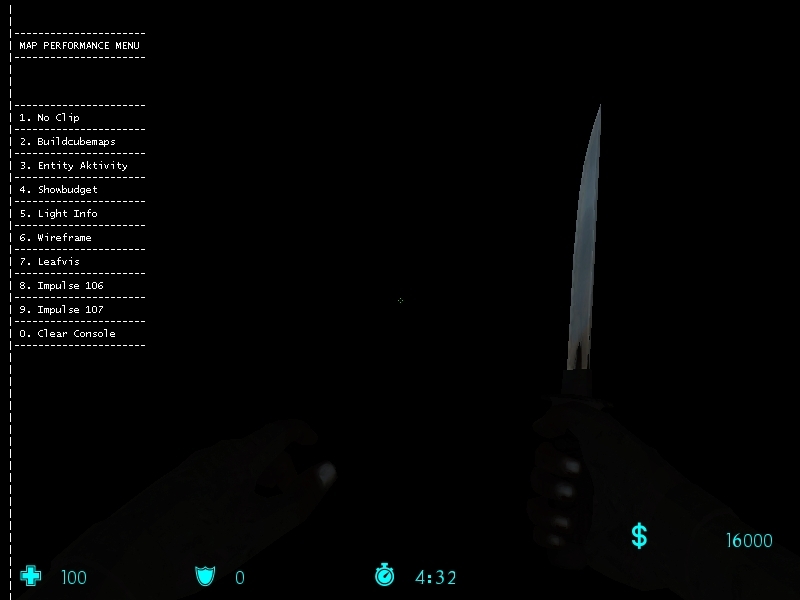 This is Badger. 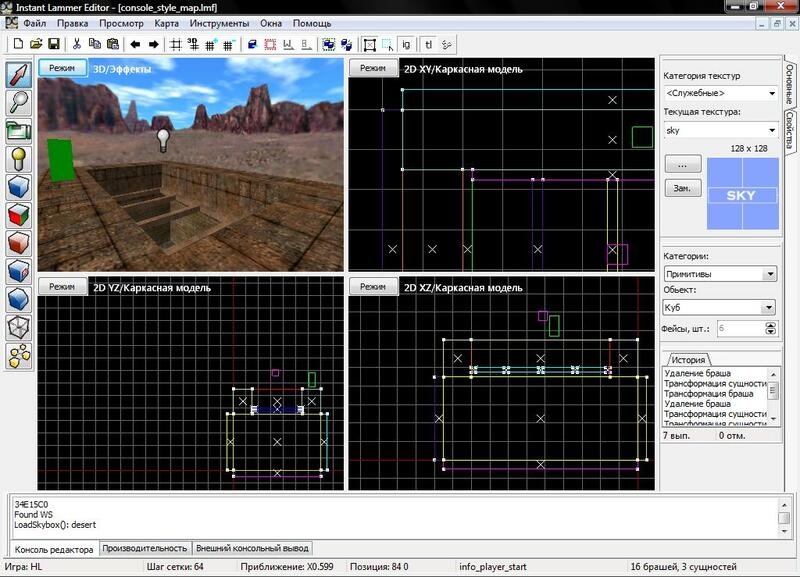 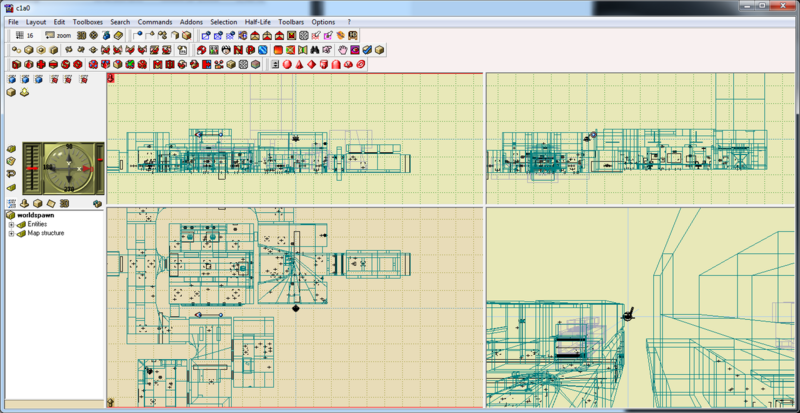 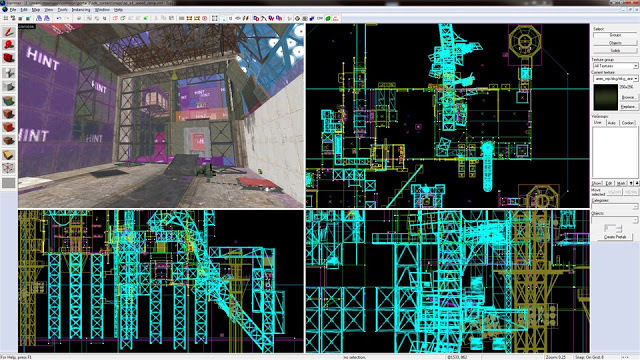 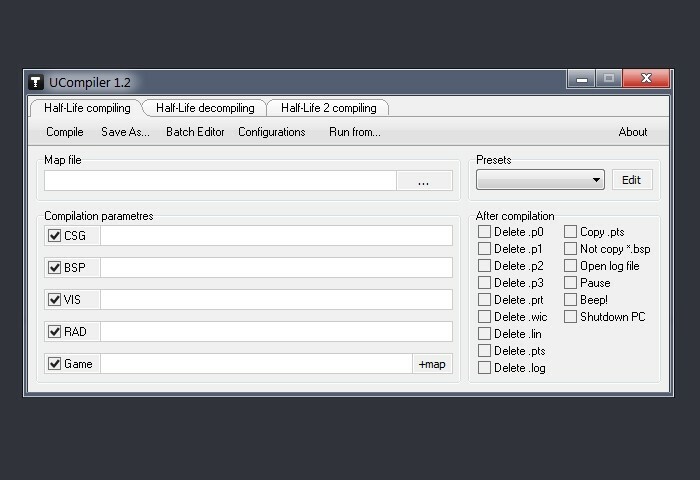 It's a tool to generate levels for Half-Life 2, Black Mesa. 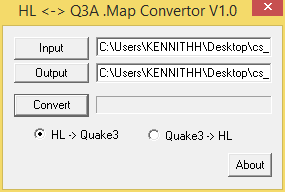 This tool blocks Hammer from converting plane coordinates to integers when exporting .map file and thus enables Hammer to output the original floating point coordinates. 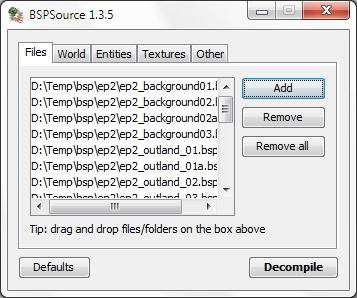 Identifies and archives all dependencies for bsp files. 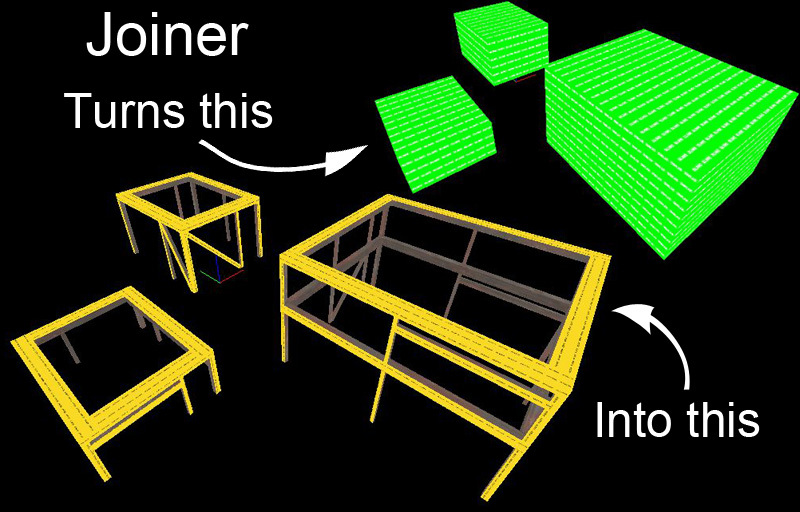 Joiner is a little application that reads in a template .vmf file and produces a new .vmf filled with supports based on your template and customised settings or config. 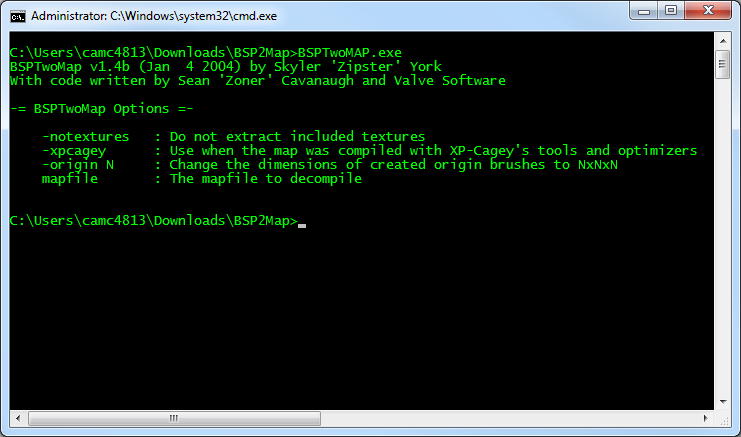 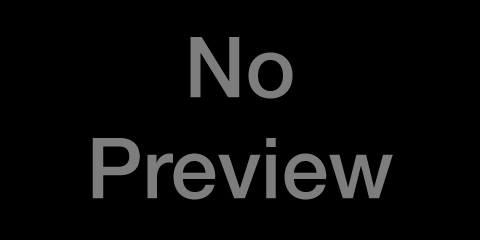 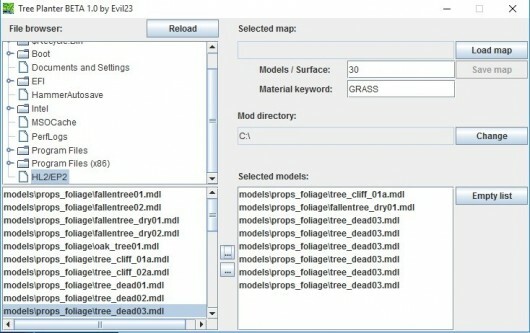 Preview a map contained in a BSP file. 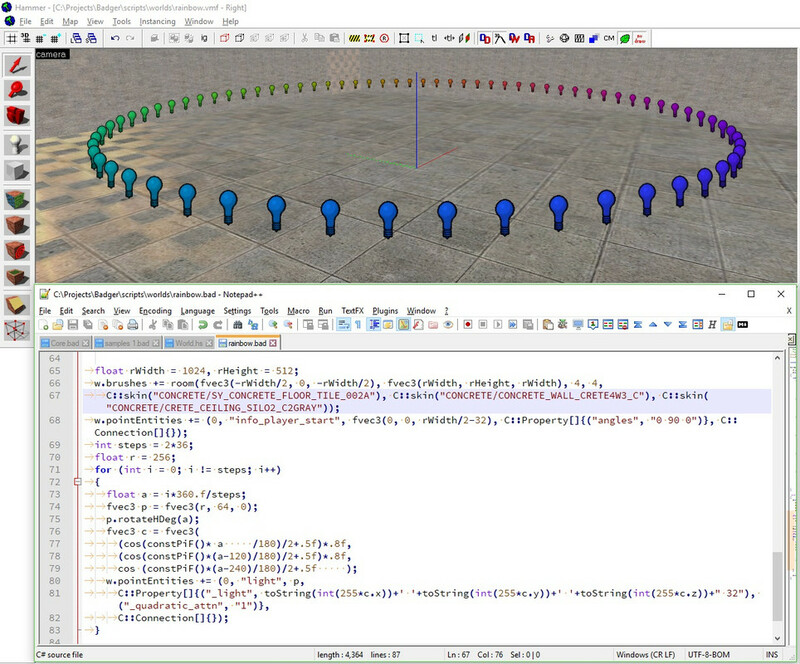 Find, display, and optionally round floating point plane coordinates in Source engine .vmf files. 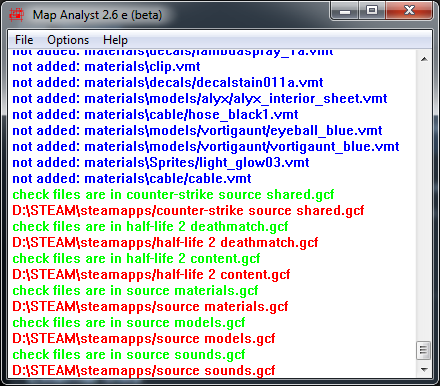 Simple tool to dump raw data from Valve's map files. 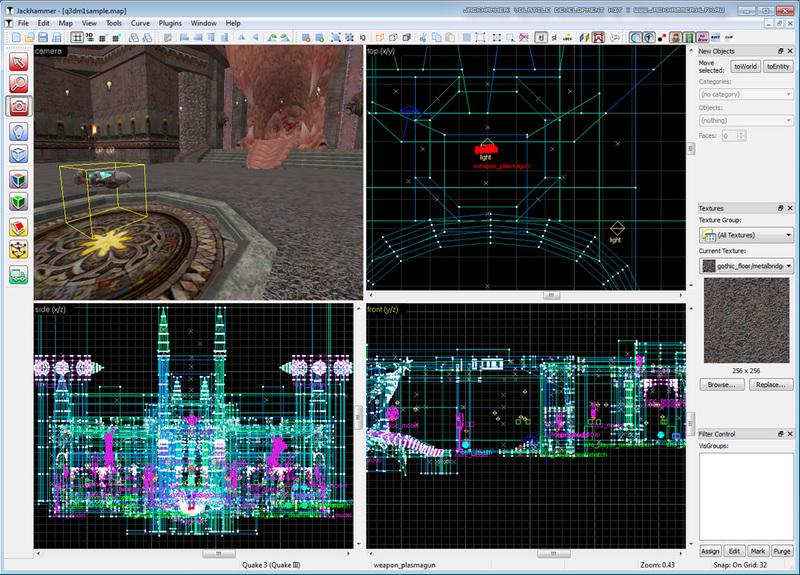 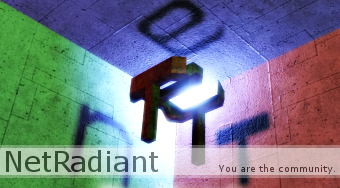 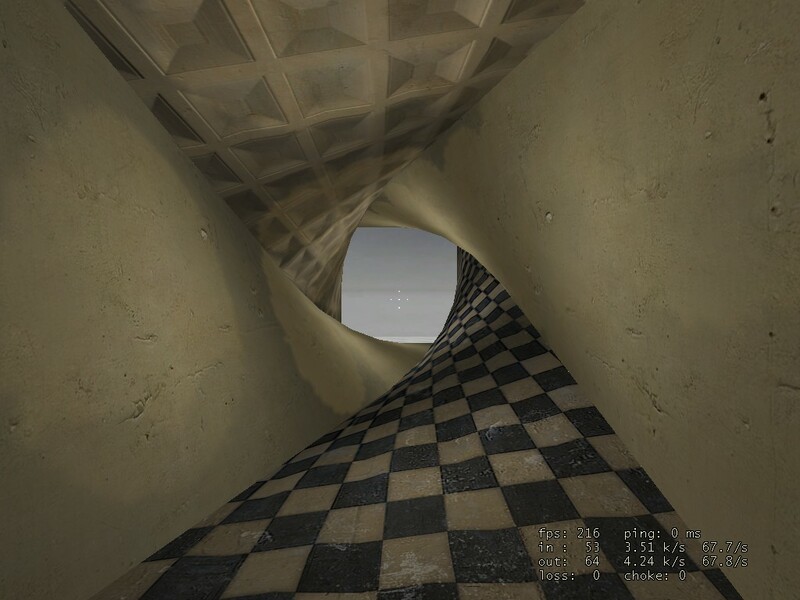 This project is a prototype map renderer for Half-Life BSP files. 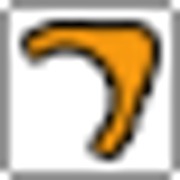 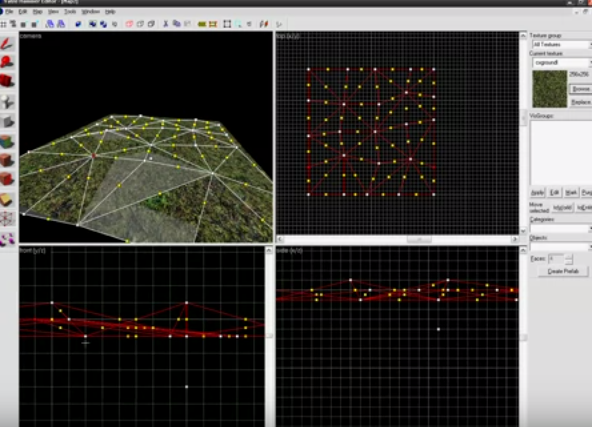 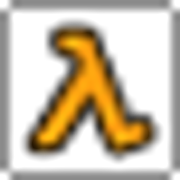 This program will create a half-life2 displacement map from a heightmap image. 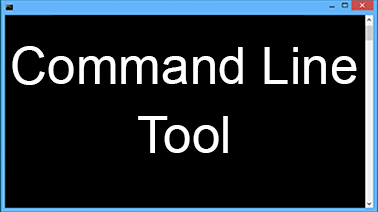 Used to take source-css console commands and convert them into .vmf-compatible commands. 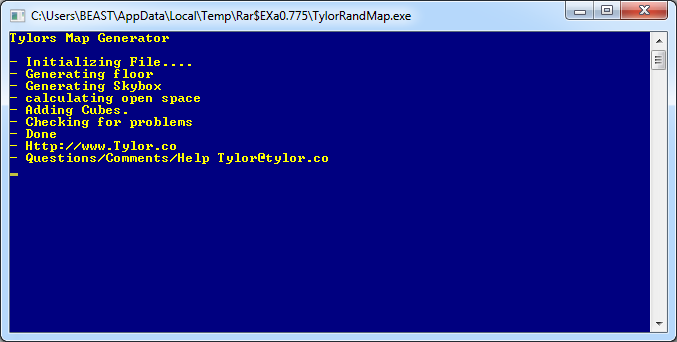 C# Library for working with BSP files (and other similar file formats). 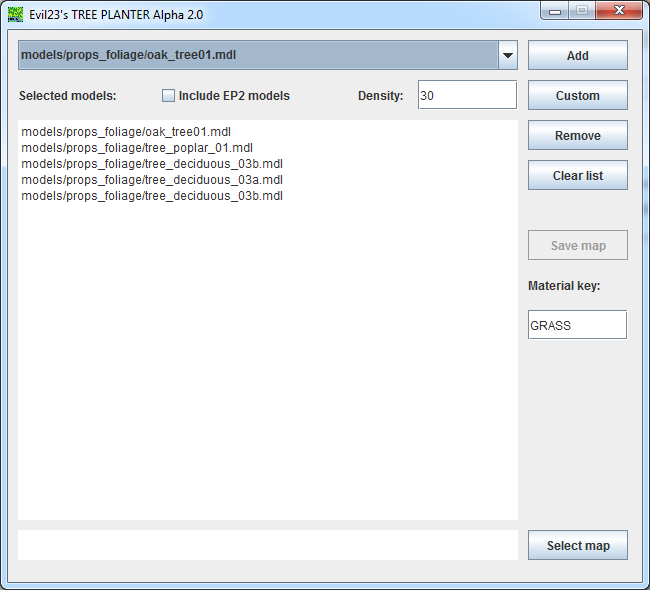 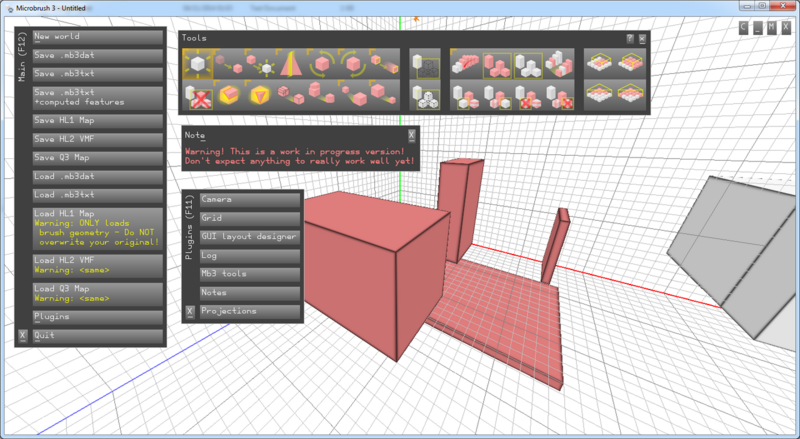 Crafty is a 3D object, material, model and file browsing utility for Source & GoldSrc Maps. 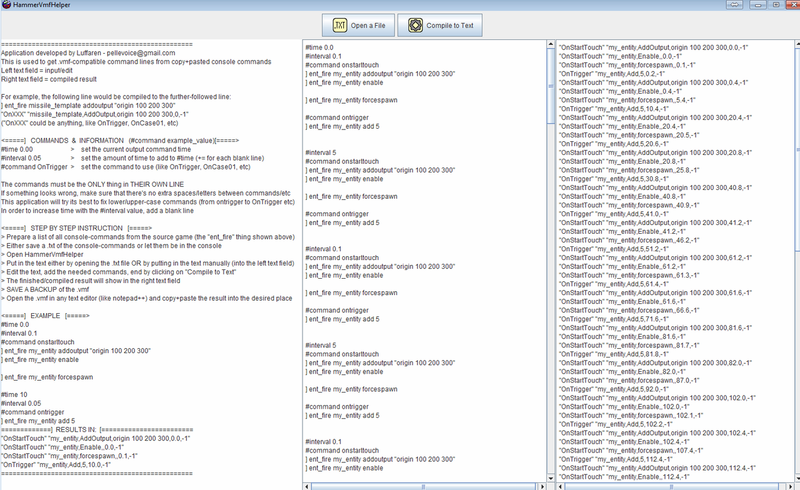 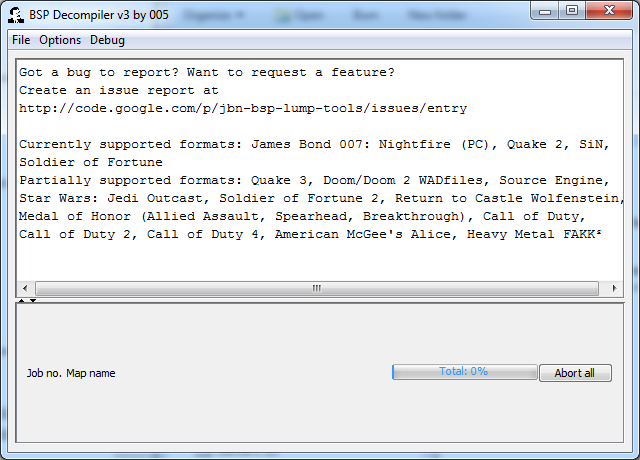 Decompile GoldSrc .bsp files into Hammer .map files. 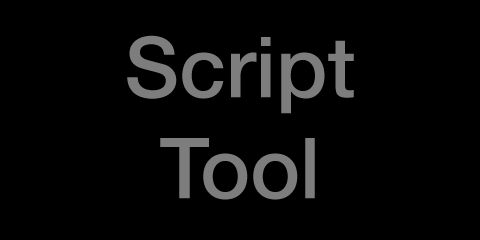 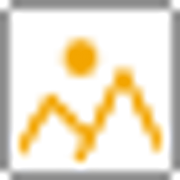 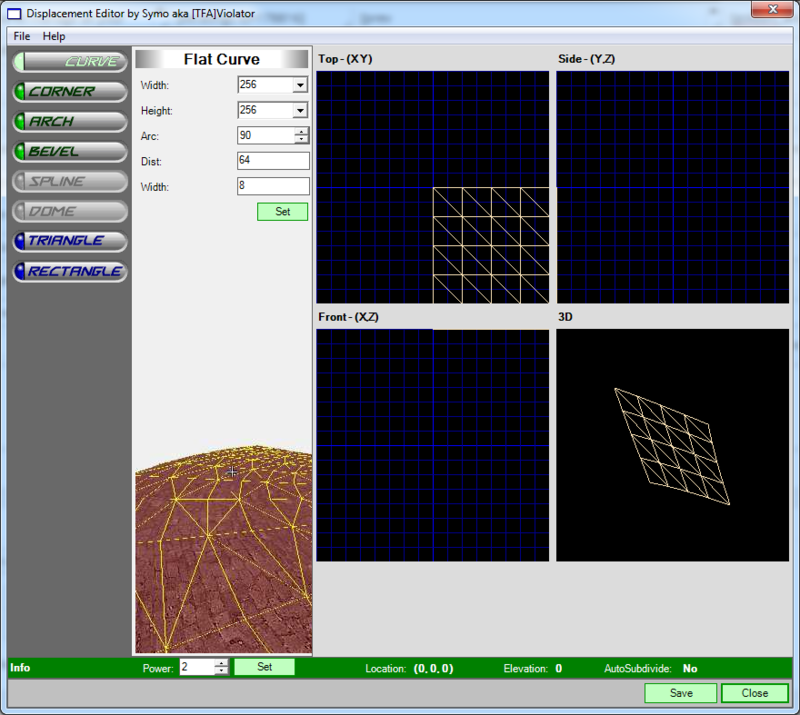 This tool is used to create the smallest convex brush containing all points in the input file. 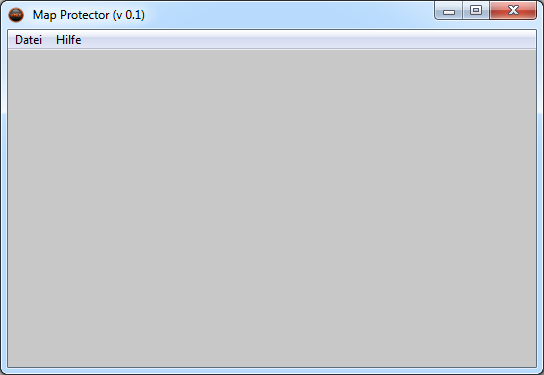 Input file can be .smd (use its vertexes), .map (brushes and point entities) or .pts file. 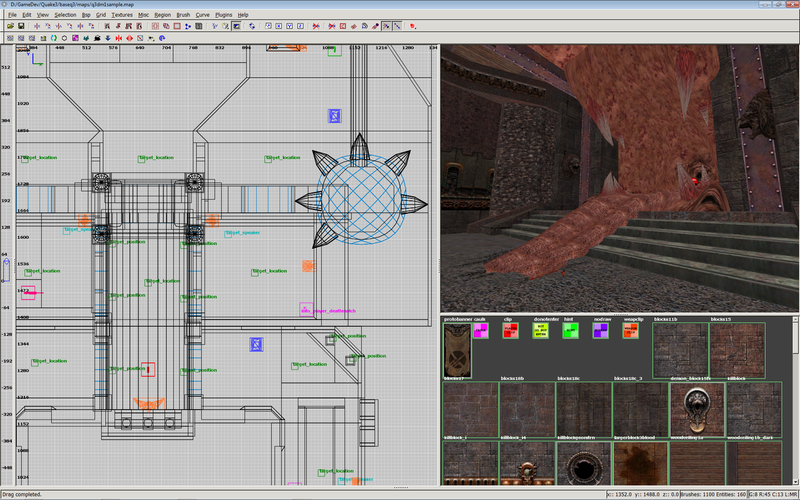 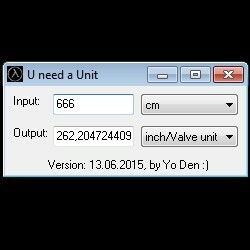 Modification of Source Valve Hammer Editor to fix some issues. 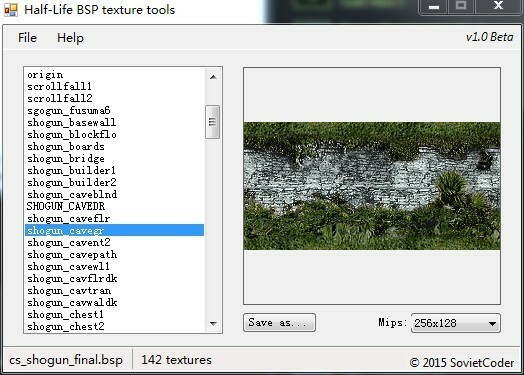 Fixes brush vertex precision loss. 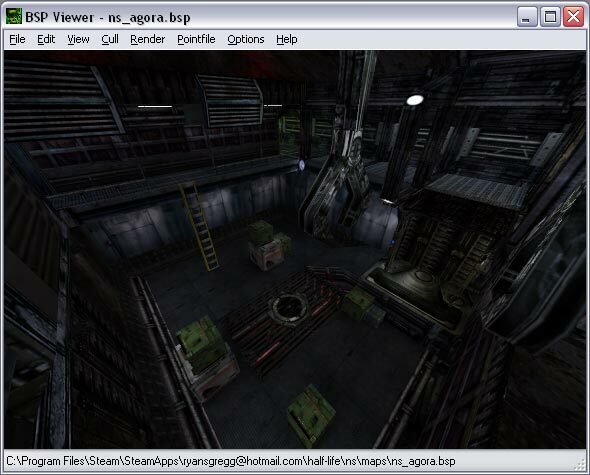 makes textfiles to go with your overview pictures from Half-Life maps. 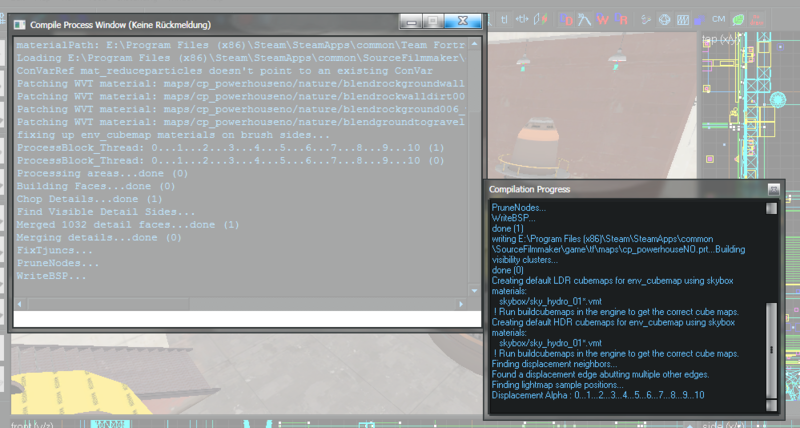 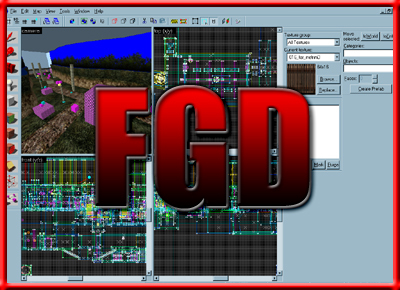 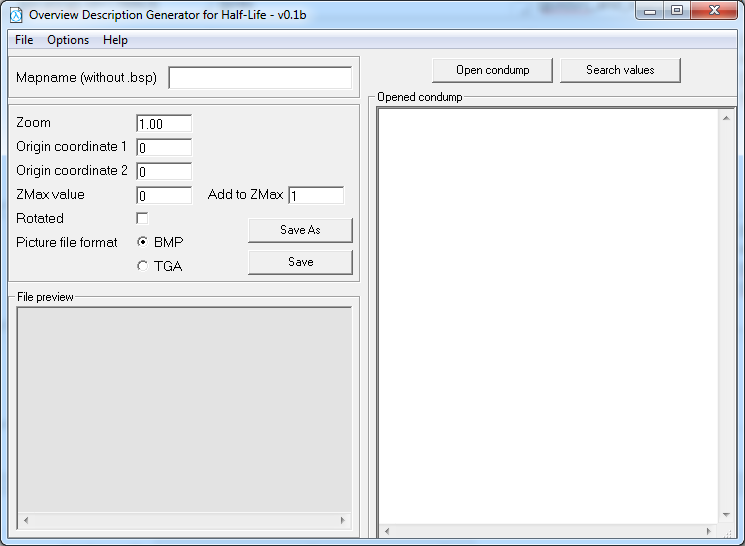 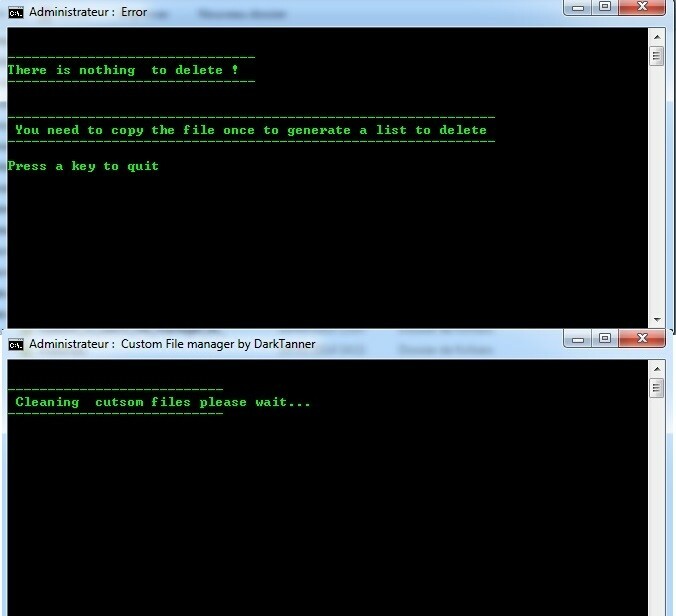 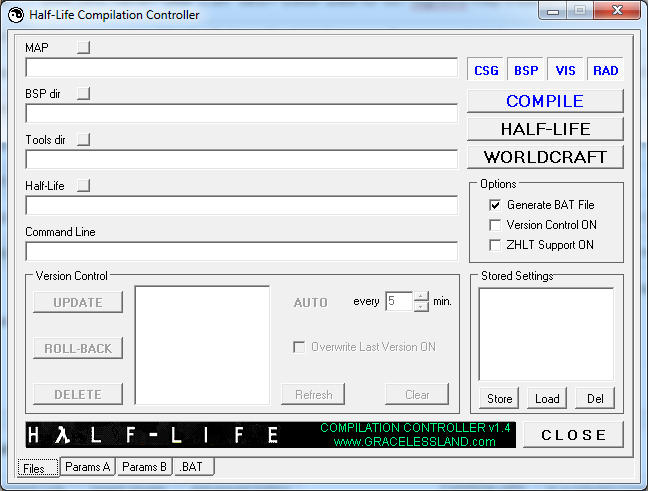 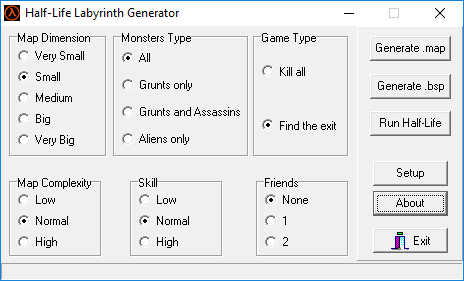 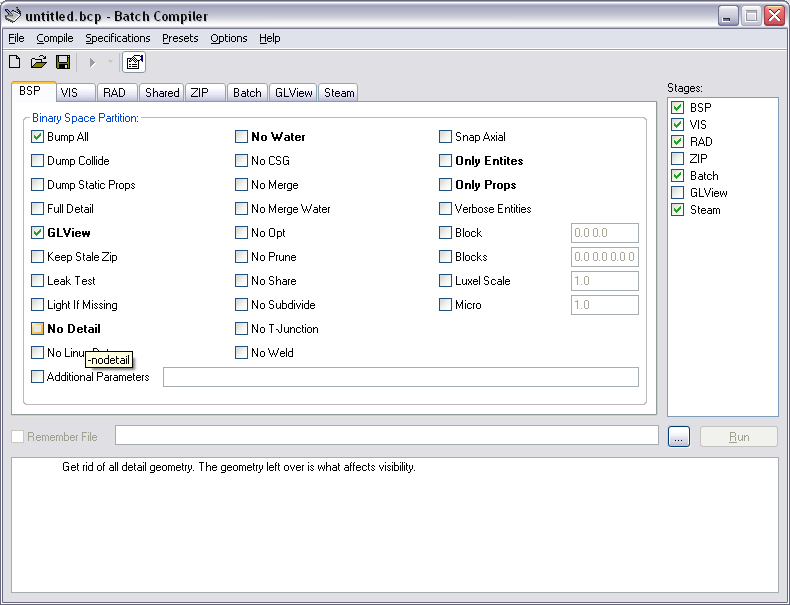 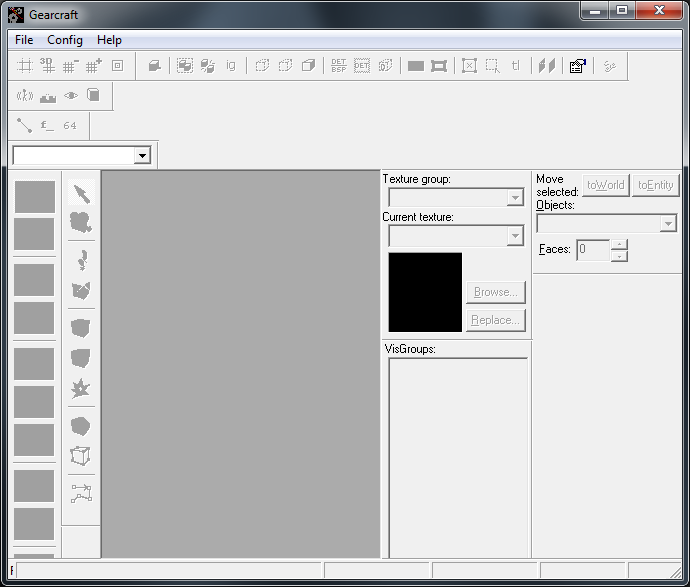 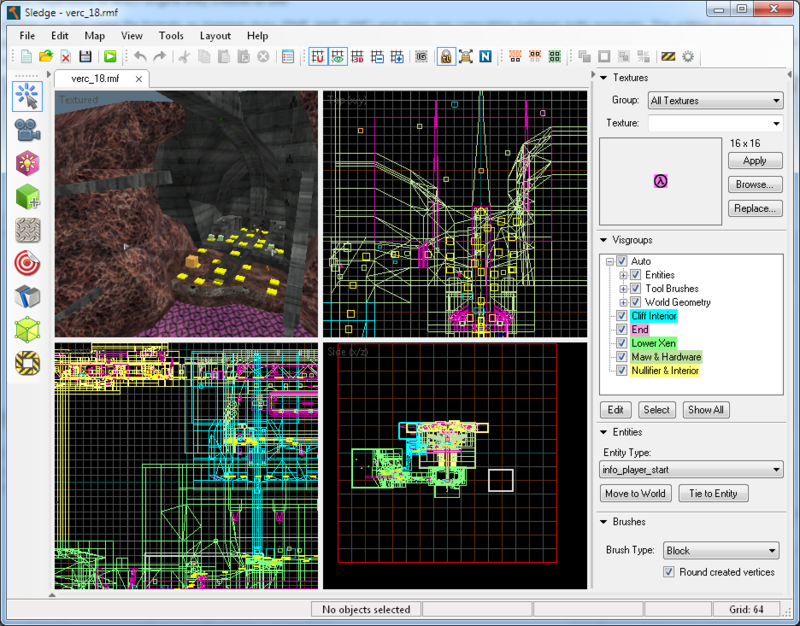 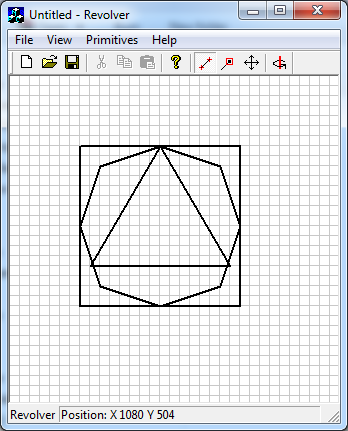 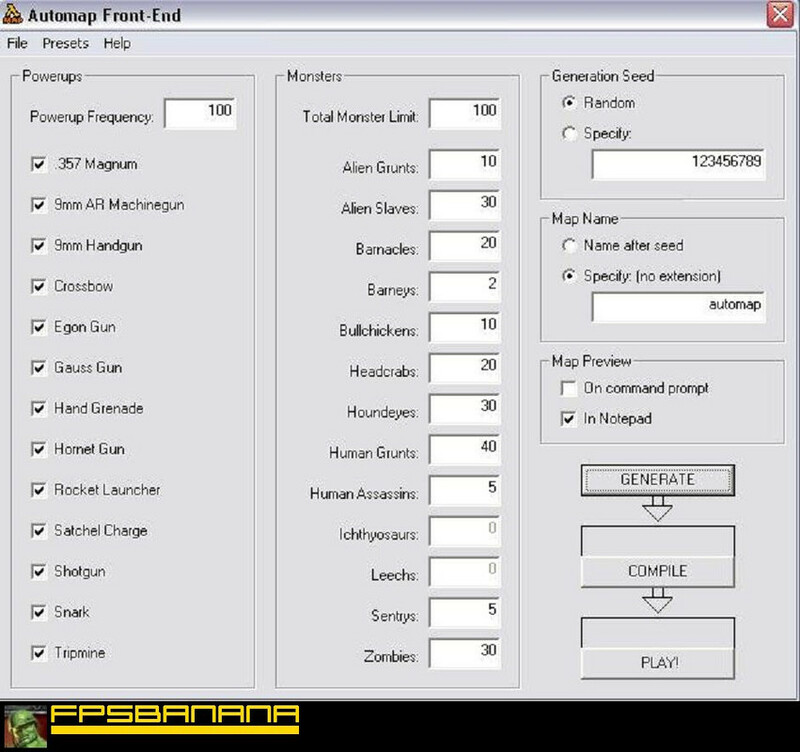 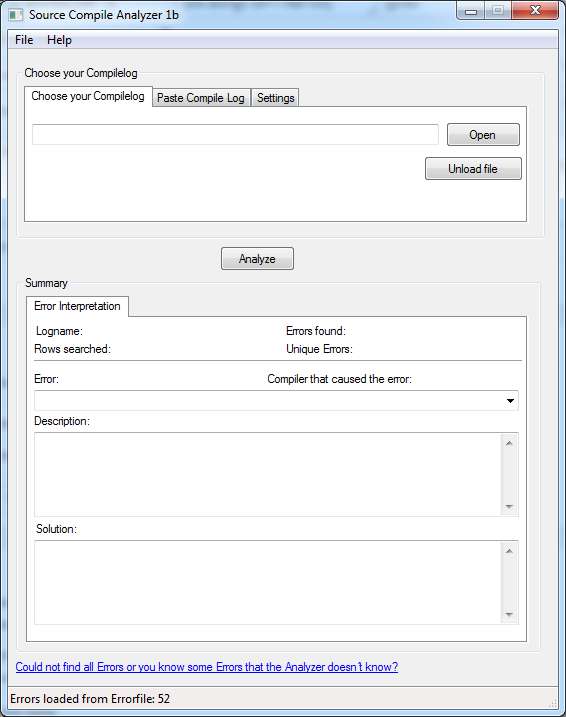 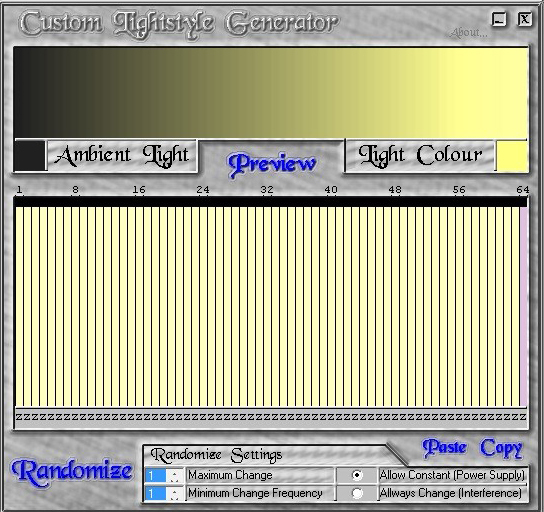 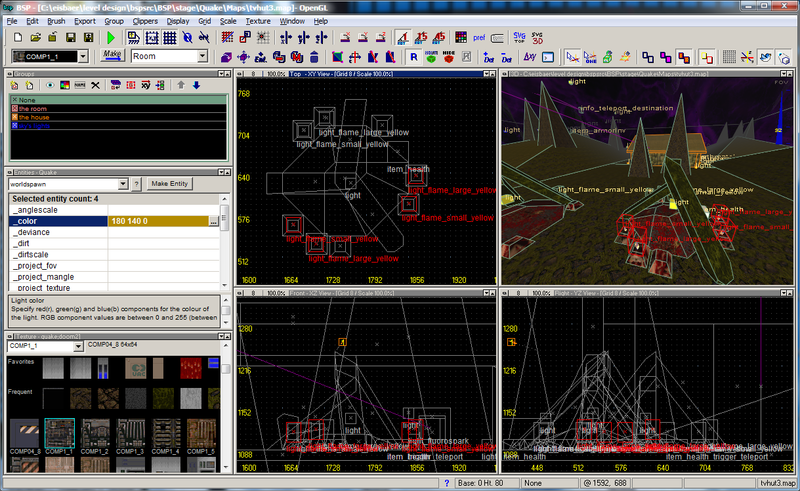 A graphical interface for creating and editing Half-Life FGD Files. 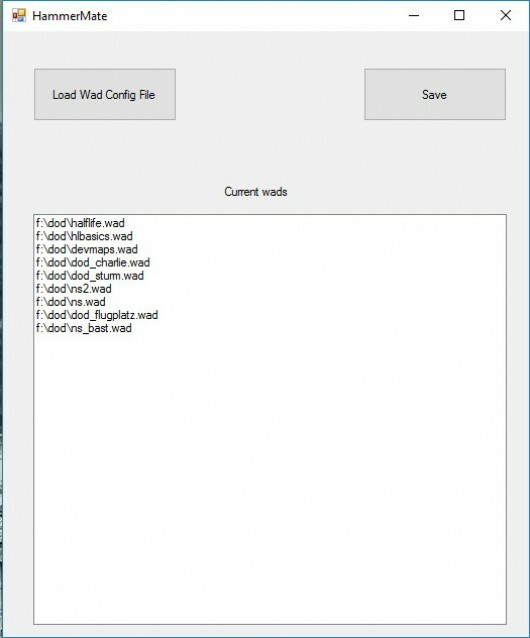 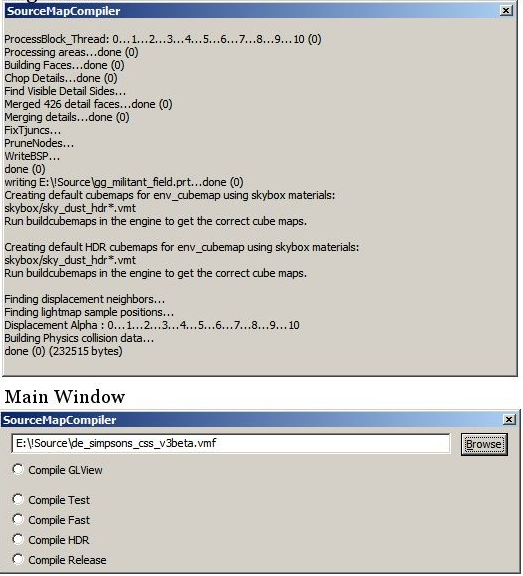 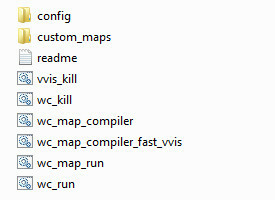 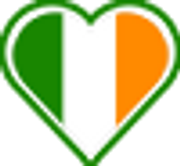 Worldcraft Hammer Editor Map Compiler is a set of .bat files that make the process of compiling and developing .bsp maps from .vmf files an easy and fun task. 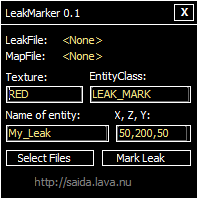 This is a tool for showing leaks in a map made in WordCraft. 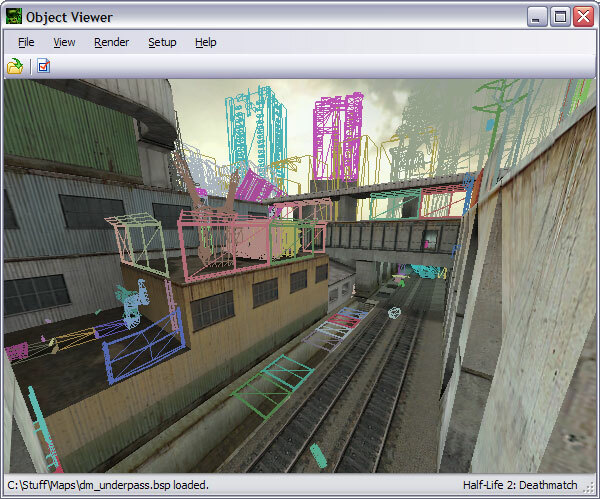 Optimizes the entities in compiled maps, allowing you to include more entities and also reduce network traffic. 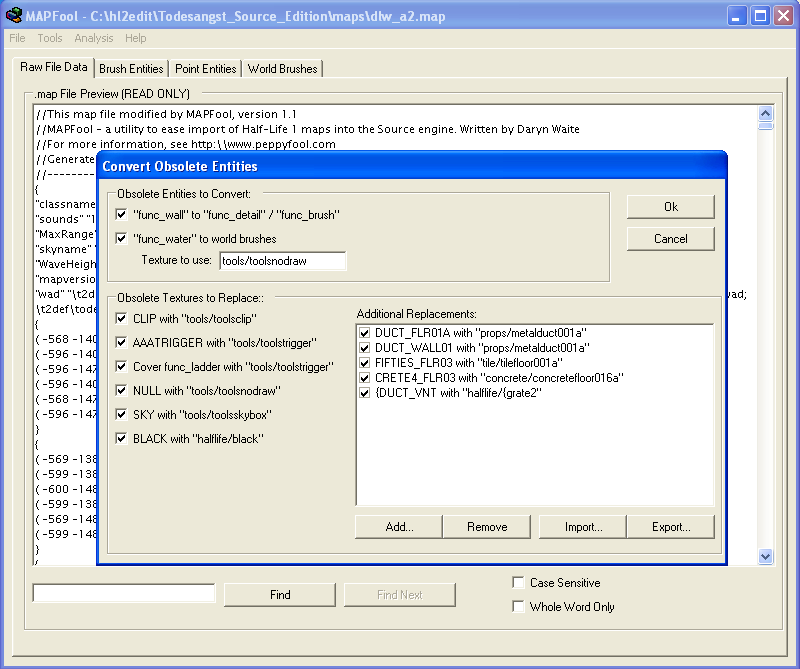 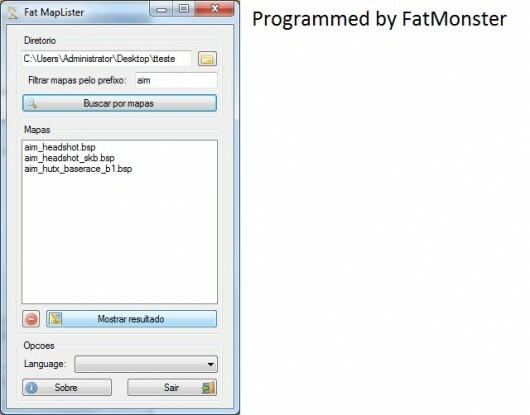 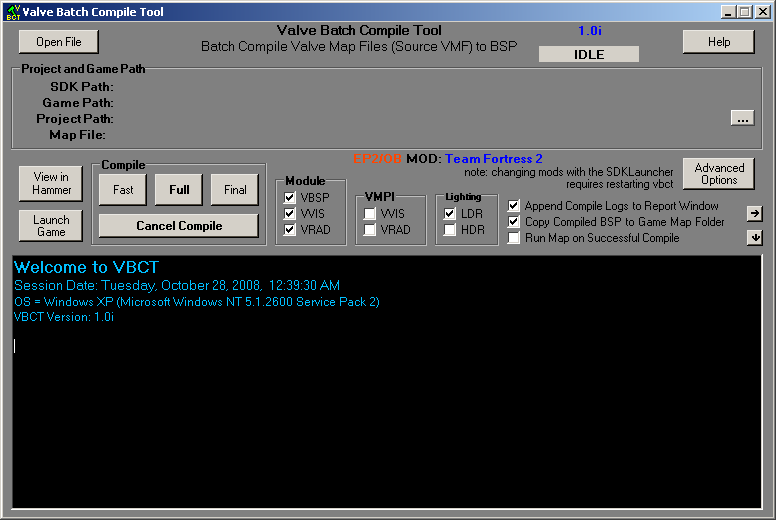 This program adds custom content to a BSP. 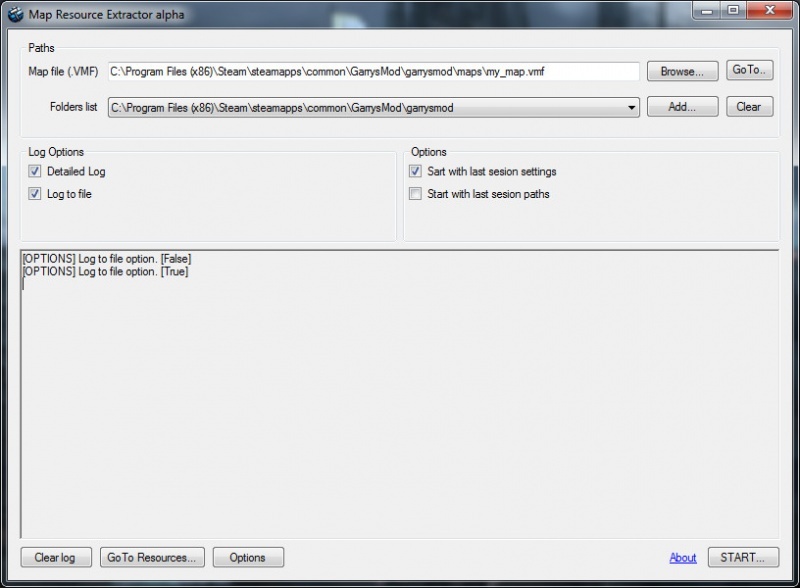 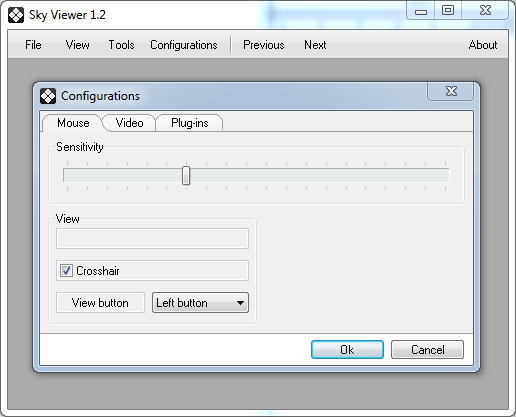 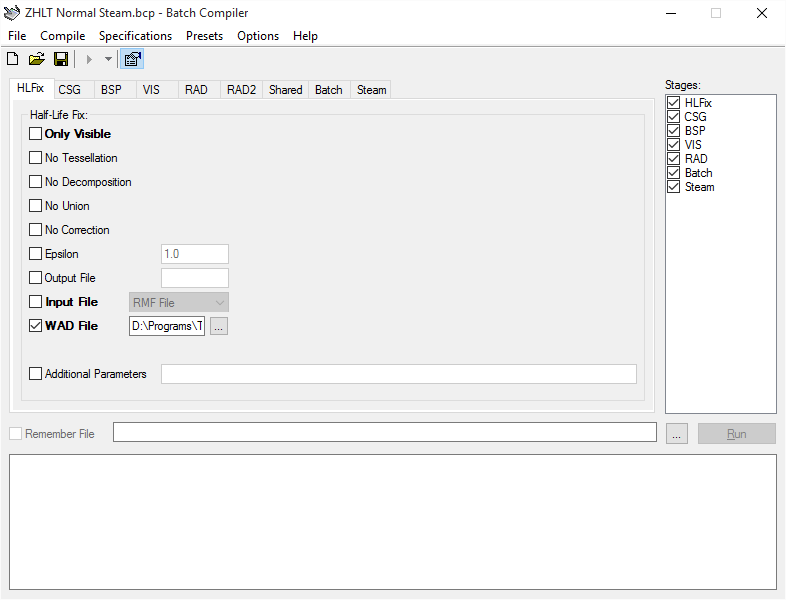 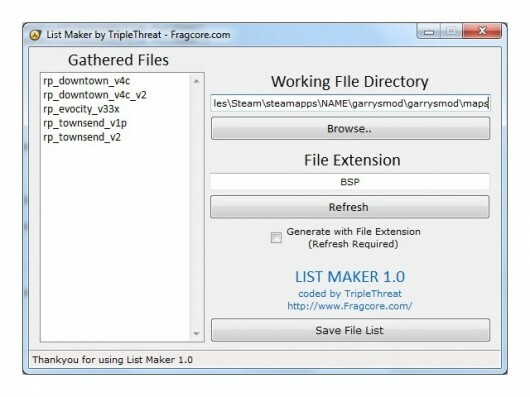 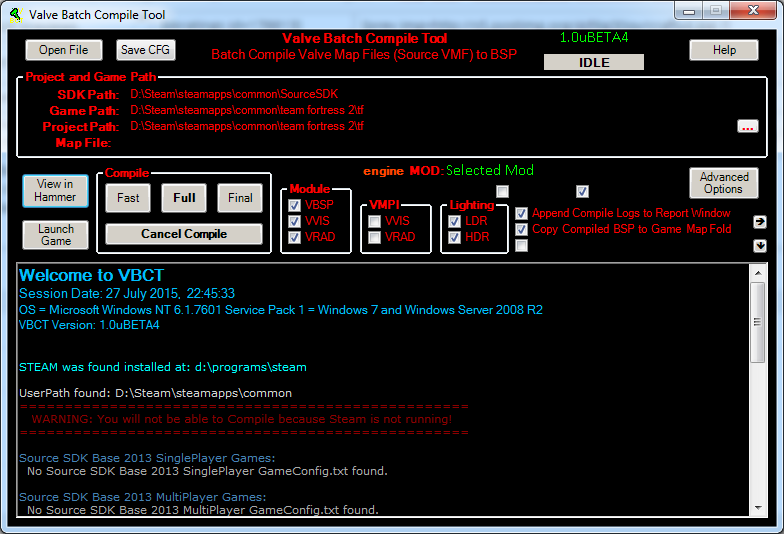 It is a GUI version of Valve's bspzip. 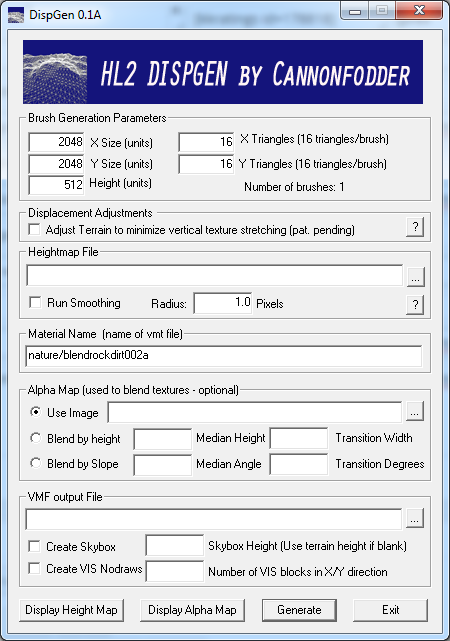 Generates displacements that would usually take an extremely long time, or just be impossible to do in Hammer. 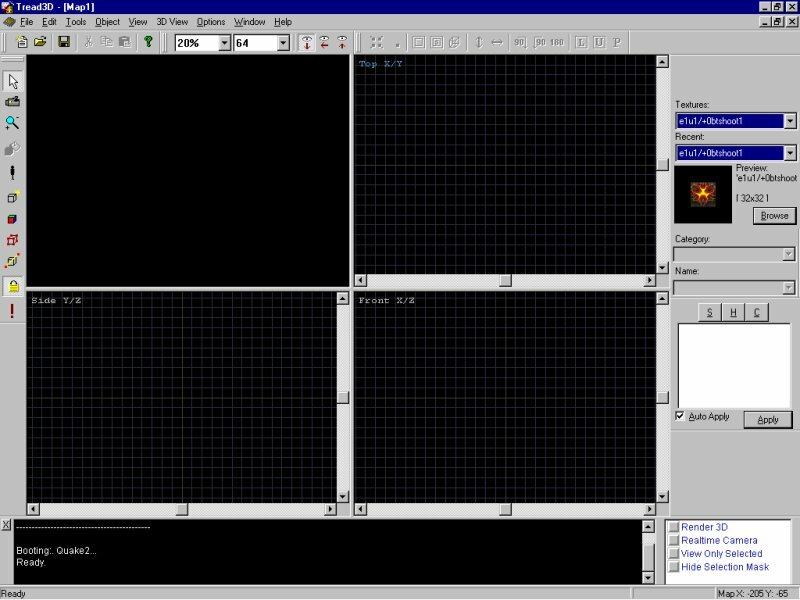 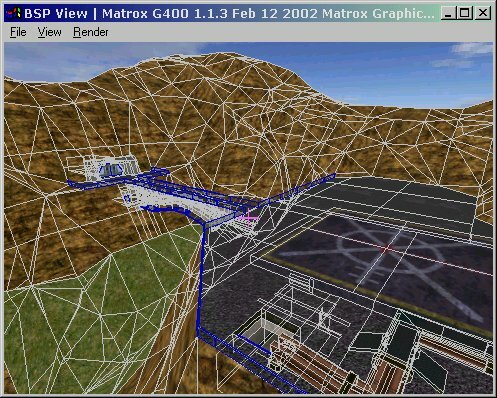 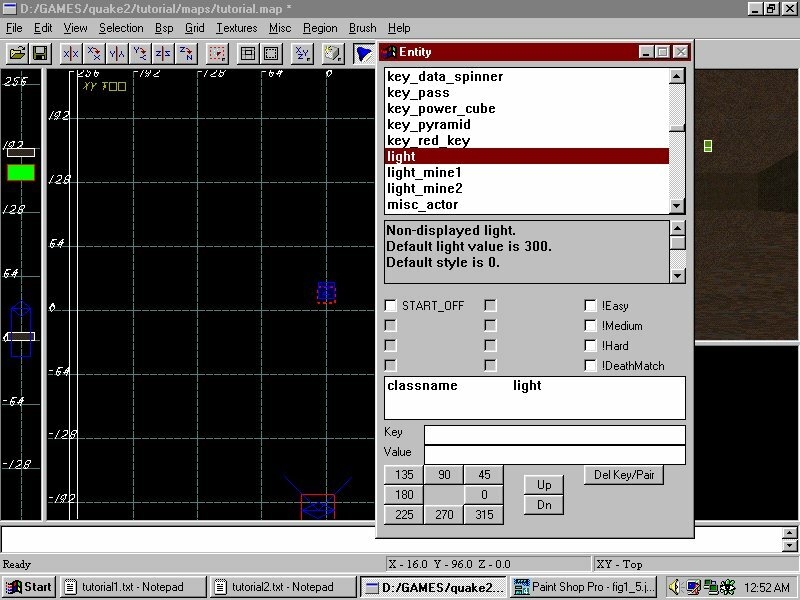 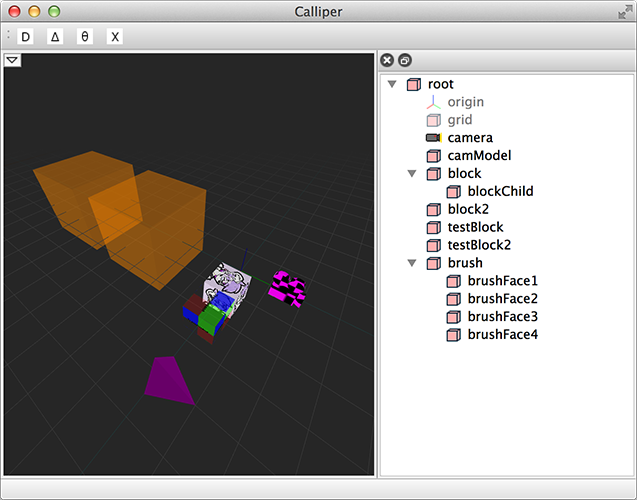 The Calliper editor (formerly Crowbar) is designed to be a cross-platform, extensible level editor that accelerates the creation of computer game maps, and is targeted specifically at Source engine games. 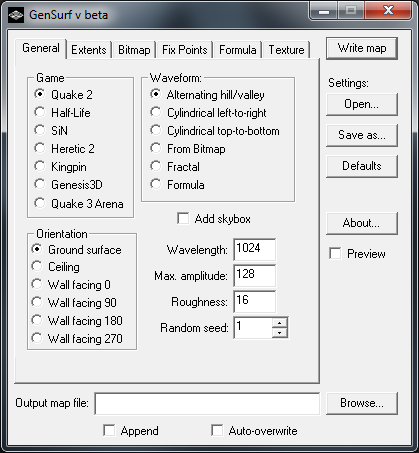 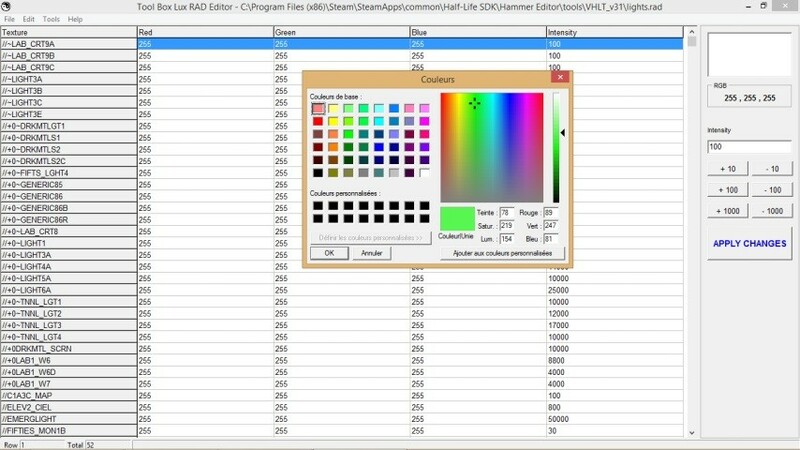 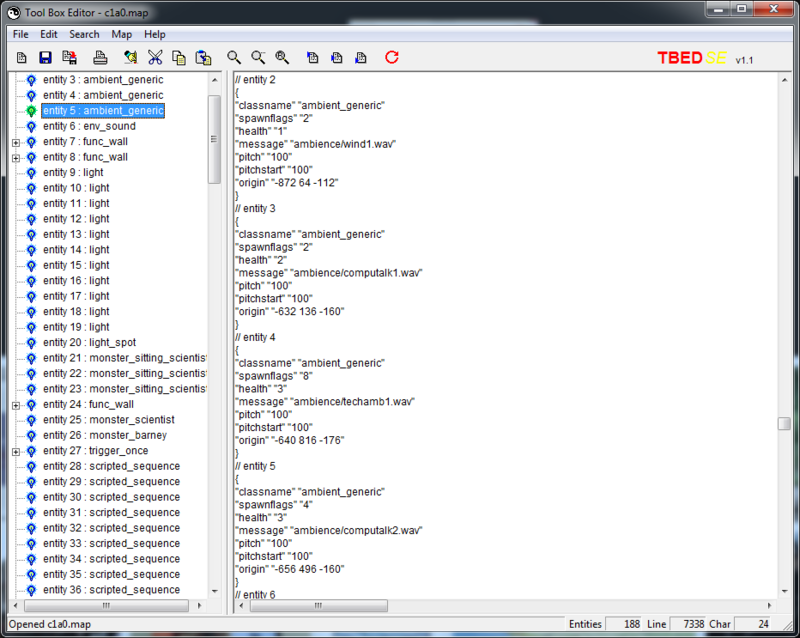 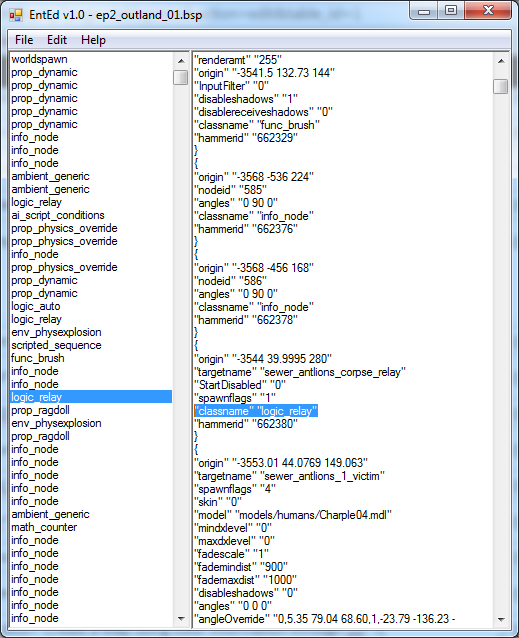 HammerMate is a tool I use to save and load the wad texture list for Hammer 3.4 / 3.5. 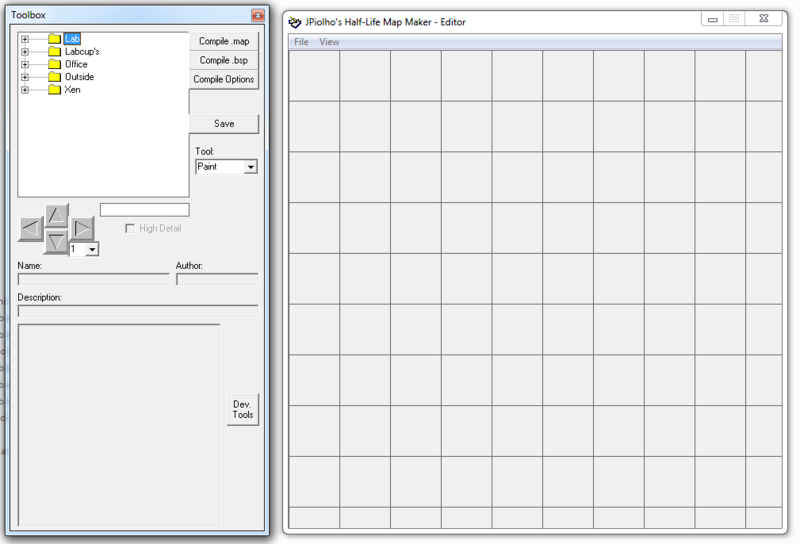 List Maker automatically generates your maplist.txt and mapcycle.txt, it can be further used for making lists outside of Maplist making. 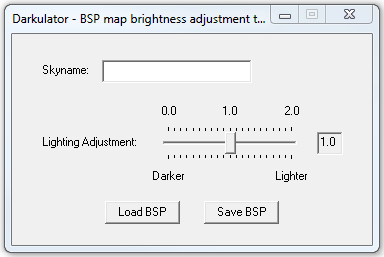 A modified version of VBSP designed to greatly increase the maximum width and length of visleaves.